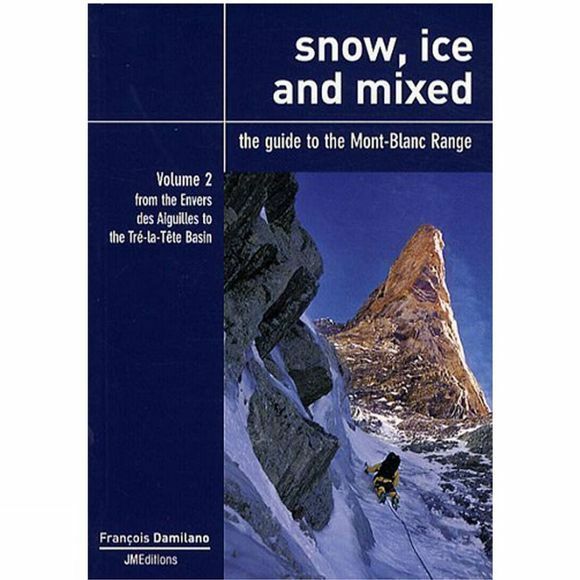 The first of a 2 volume set covering the climbing in the Mont Blanc range. Snow, Ice and Mixed Vols 1 and 2 replace the popular Neige, Glace et Mixte. Now published in English with full colour photo-topos through out it is a comprehensive guide to the show and ice routes on all the summits in the massif. Vol 1 covers eastern section of the Mont Blanc Massif from Tirent Orny Basin to Geant Basin.